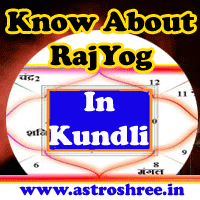 In previous lessons of vedic astrology we have read about what is astrology, Months in vedic astrology, Zodiacs details. Now in this lesson we will read about different types of calender, Muslim months. In astrology identification of time for different purpose is very necessary. The ephemeris or panchang or calender is made on the basis of movement of Sun, Moon, Planets, Earth. On the basis of this different types of panchangs are made. 1. Calender/Panchang depends upon Movements of Moon. 3. Calender of panchang depends upon Constellation. 4. Calender of panchang depends Movements of Earth. A) First from no moon night to full moon night. B) Full moon night to no moon night. In a year Sun passes from 12 zodiacs signs. the time of sun in 1 zodiac is called 1 solar month. Zodiac is divided into 27 constellation. Moon crosses 1 constellation in about 1 day. So in 27 days Moon passes from 27 constellation. This 27 days are called constellation month. Types of panchang or calender, free astrology lesson 4, Know about moon panchang, solar panchang, constellation calender, western months, Islamic Months. Earth moves around the the sun in about 365 & 1/4 days. This time is called 1 year. 12 months are present in 1 year. Western Calendar is made on this basis. Name of western months are January, February, March, April, May , June, July, August, September, October, November, December.